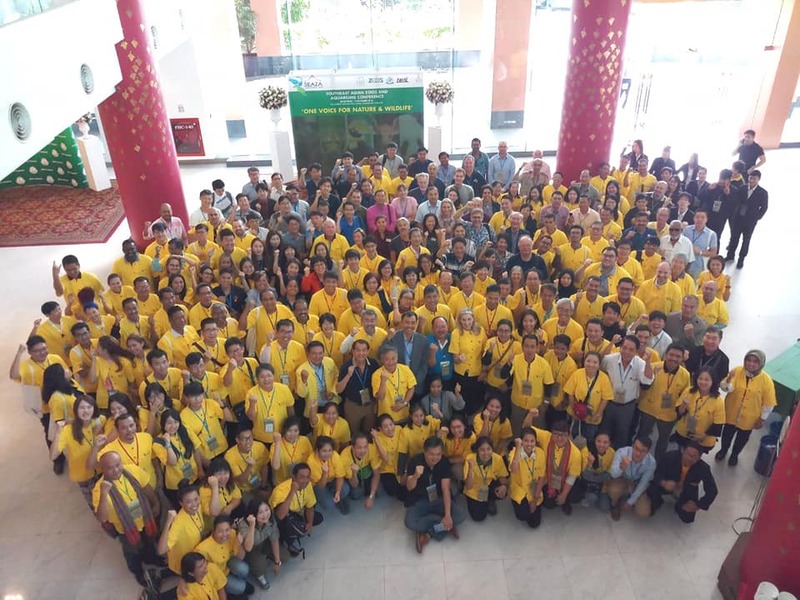 The 26th Annual Conference of the Southeast Asian Zoos and Aquariums Association has officially opened on 29 October 2018 at The Empress Convention Center, Chiang Mai, Thailand. With the theme, "One Voice for Nature and Wildlife", the Conference opened with SEAZA President, Dr. Phan Viet Lam welcoming the more than 300 participants from 23 countries and expressing his gratitude to this year's organizers, the Zoological Park Organization under the Royal Patronage of HM The King. After the SEAZA President's rousing welcome, the Keynote Speech was delivered by Dr. Jenny Gray, President of the World Association of Zoos and Aquariums. Dr. Gray highlighted the crucial role that zoos and aquariums have to play in ethical biodiversity conservation. On the first day, speakers from around the world presented their respective studies and perspectives in zoo conservation and design. The night was then capped off by a welcome dinner featuring a cultural show. The next two days of the conference will see talks on the fields of education, zoo management, animal welfare, and nutrition. Post-conference workshops will be held on 1 and 2 November and will be managed by the different Committees of SEAZA. SEAZA 2018 will run until 2 November 2018 and is brought by the Zoological Park Organization under the Royal Patronage of HM The King. Important documents related to the conference can be accessed via seaza2018.org and photos will be uploaded into this website's Gallery and the official Facebook page at the end of the Conference.